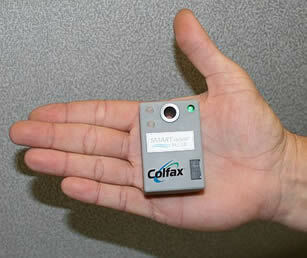 Colfax Corporation has expanded its SmartSense intelligent pump monitoring line to include the new SmartSense Pulse. Measuring only 2.4 inches long, 1.6 inches wide and 1.3 inches deep, the Pulse easily fits near the bearing on a pump to gauge temperature and vibration. At-a-glance LEDs on the unit indicate pump performance and provide preventive maintenance alerts when needed. Information exchange and dissemination is one of the most important components of networking among scientific institutions. One step towards such networking is the establishment of an online Forestry Research Network for Sub-Saharan Africa (FORNESSA) Information Service (FORNIS). KBR will open an Angola Operating Center based in Luanda. KBR has been operating in Angola since 1968 and has executed a significant number of projects in the region. The state-owned National Water and Sewerage Corporation (NWSC) says it intends to spend close to €70mn for the construction of a modern sewage treatment plant on the Nakivubo channel in the capital city an effort to improve the country's old and dilapidated sewage system in the country. Zambia has, over the years, made gigantic strides in its ambitious diversification programme aimed at weaning the country from its economic mainstay – copper. Urine as a commercial fertiliser?